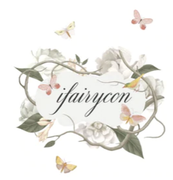 I.Fairy Con wants to ensure that all our customers are 100% satisfied with our service and product quality.Therefore If there is any reason that you are dissatisfied with your purchase, we'll be here to assist you with your problems. (i) Email us (ifairycon@gmail.com) the pictures of the defected lens and relevant details as prove of defect on the lens. Also, returned defects products will be inspected thoroughly. Exchangeable or refundable policy is void if the products show any sign of used. (iii) New and same item will be sent to you again via Registered Post, postage cost to be borned by us. Hassle Free right? (iv) Replacement to a different product or Refund only can be done if the same item is out of stock. 2. I.Fairy reserves the rights not to entertain any complaints file after 30 days from the date the parcel was shipped. Other than product defection complaints will be handled as per case basis. 3. We try to mark all parcels with low value, but we are not responsible if your country's customs charges you taxes and duties. 4. All items are checked to be in perfect condition when we despatch them. We are not liable or responsible for any losses or breakages during shipment. In the event that your parcel is returned to us, we can resend it to you, but you will have to pay a shipping and handling fee of $10.00 per order that is shipped via default International Registered Airmail or the full shipping fee that was originally charged per order that is shipped via International Registered Airmal or Fedex. If you would like to treat it as a return, we will refund the value of the product(s) minus a 30% restocking fee. Shipping fees will not be refunded. Please do not for shipments by Fedex, if there is a case where you decide to return, Fedex will charge a return fee, this fee will also be bourne by the buyer. This does not apply to errors on behalf of I.Fairycon which will be courteously corrected. Check your parcel once you have receive them to see if you receive all the orders that you placed. If you happen to receive shortage of items you need to inform Ifairycon immediately with detailed information and picture within 7 days from the date the parcel was received. a) We do not accept returns due to size. Please be sure you are purchasing the correct size to suit your eyes. b) We DO NOT guarantee that colors will look the same as pictured. Everyone has different pigmentation in their eyes and photos are taken in different lighting which can cause lenses to look slightly different. Once products are SHIPPED, and you wish to cancel your order, 30% administration fees will be imposed and shipping the shipping cost will be borne by the buyer. Refund will only be processed after we have received the return product. If your parcel is being returned and a refund request is made, we will impose 30% penalty fees from your total order value and deduct the shipping charges and refund you the remaining amount. 3. We try to mark all parcels with low value, but we are not responsible if your country's customs charges you taxes and duties. Buyer is responsible to check with their countries customs and pay taxes. In the event that your parcel is returned to us, we can resend it to you, but you will have to pay a shipping and handling fee of $10.00 per order that is shipped via default International Registered Airmail or the full shipping fee that was originally charged per order that is shipped via International Registered Airmal or Fedex. Shipping fees will not be refunded.